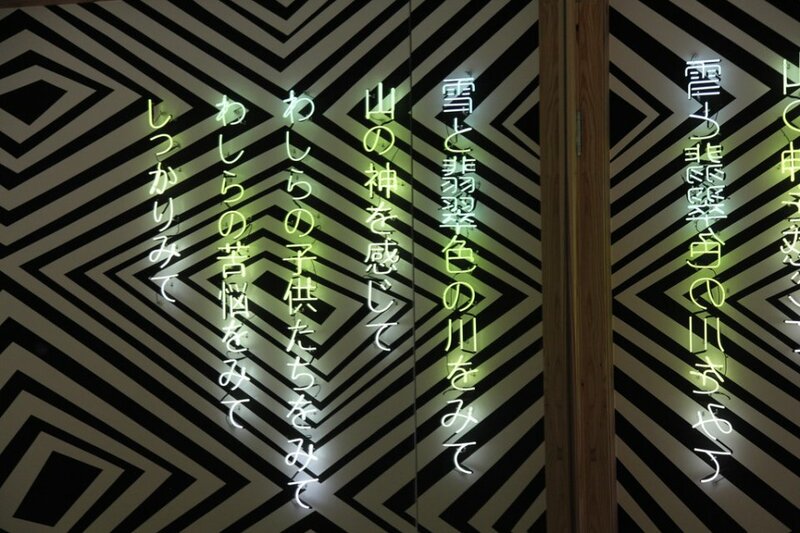 Artwork encourages engagement with local community. 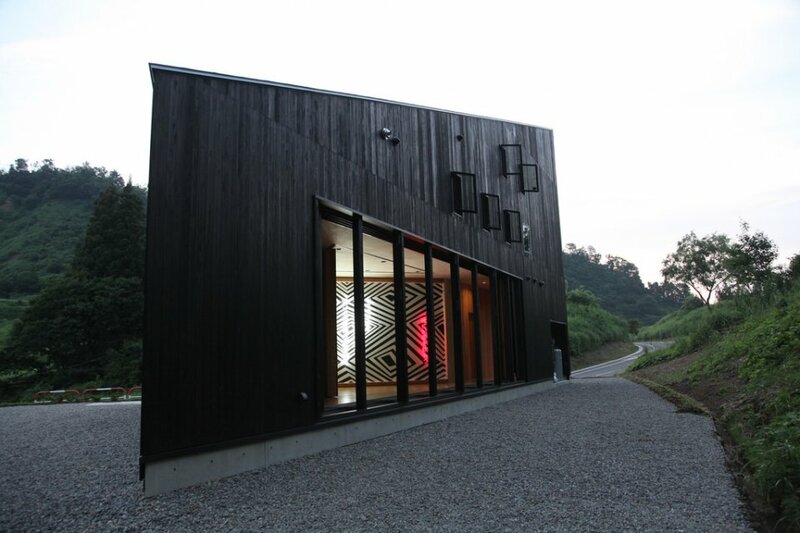 Permanent installation at Australia House, Urada, Japan. 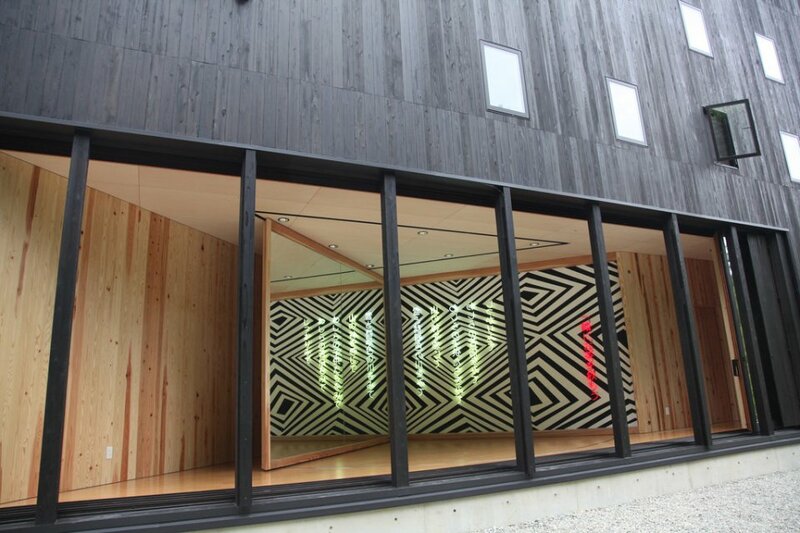 A decision was made to commission a new building by architect Andrew Burns, including an integrated permanent art installation by Brook Andrew. 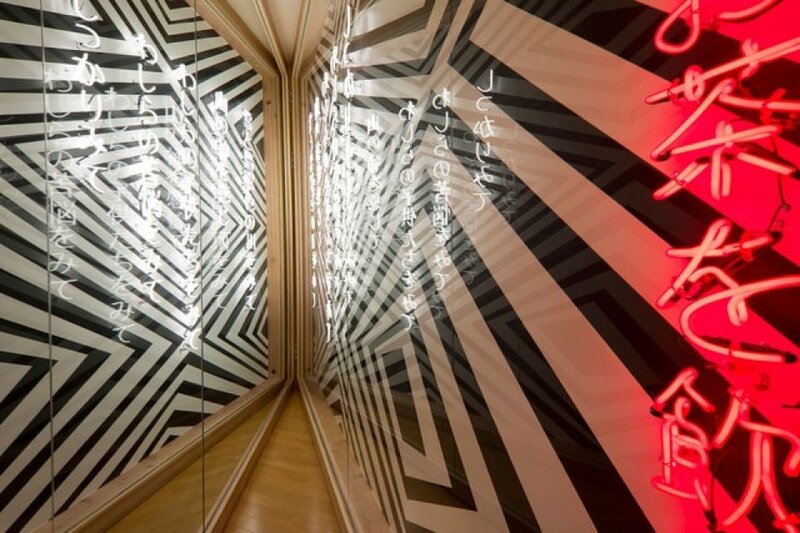 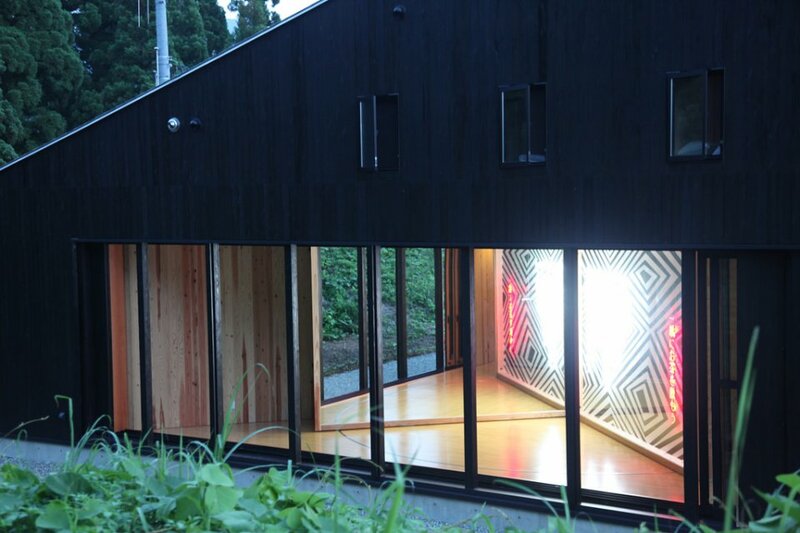 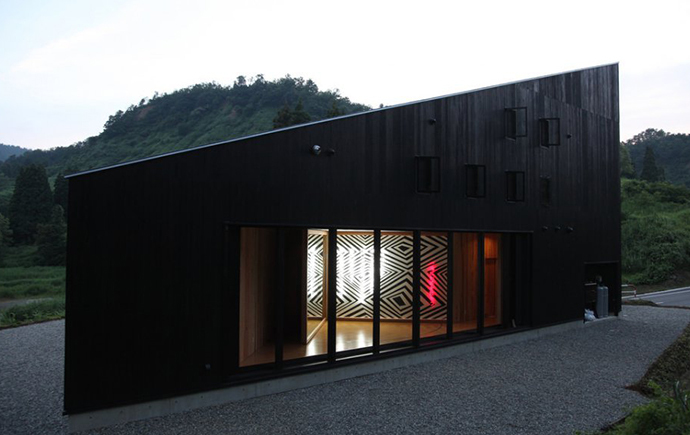 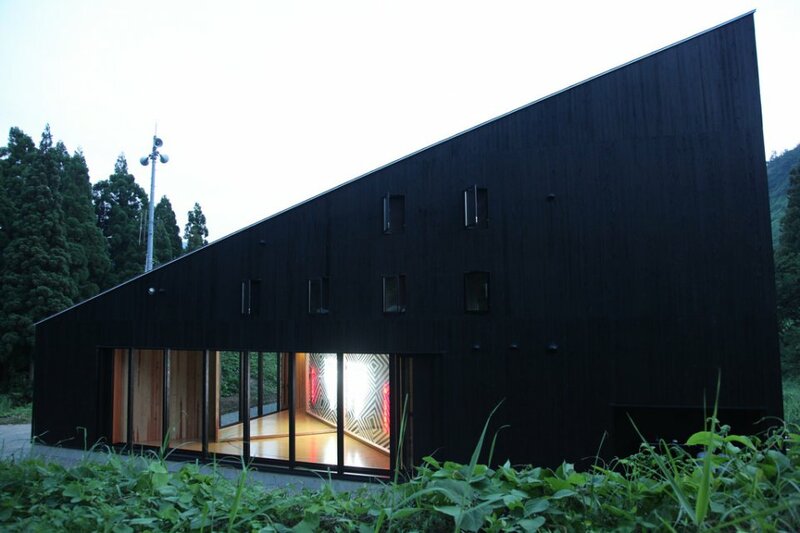 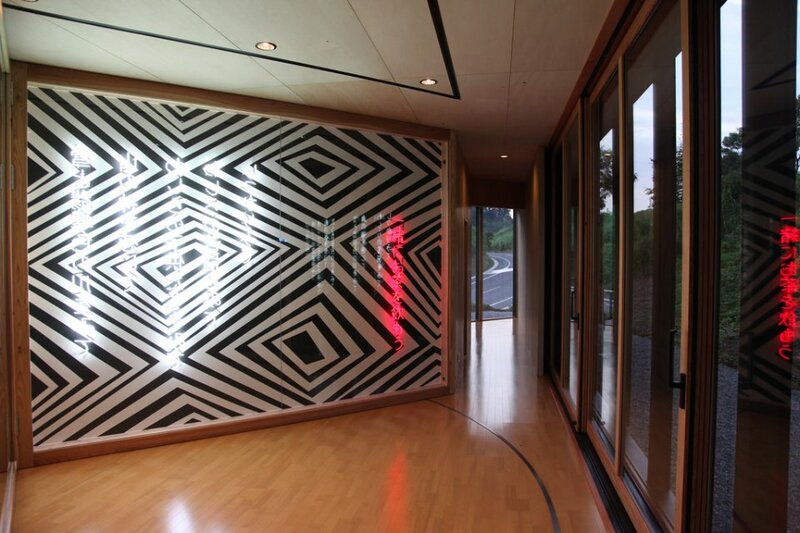 Andrew’s installation, Mountain Home – Dhirrayn Ngurang, combines a black-and-white pattern with neon. 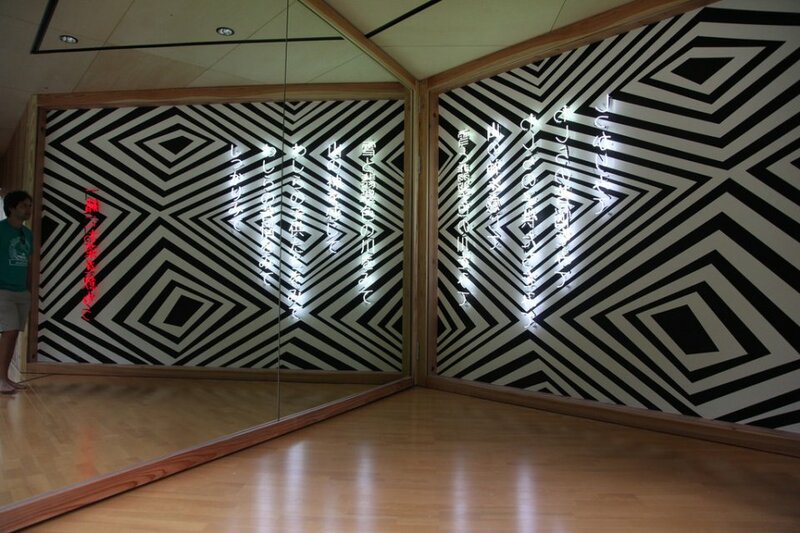 The work sits on a flat panel which folds out to stand opposite a mirrored wall. 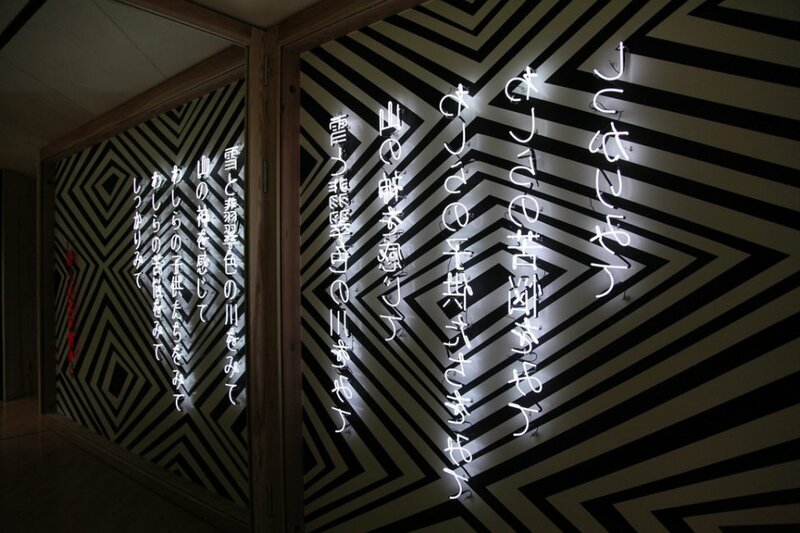 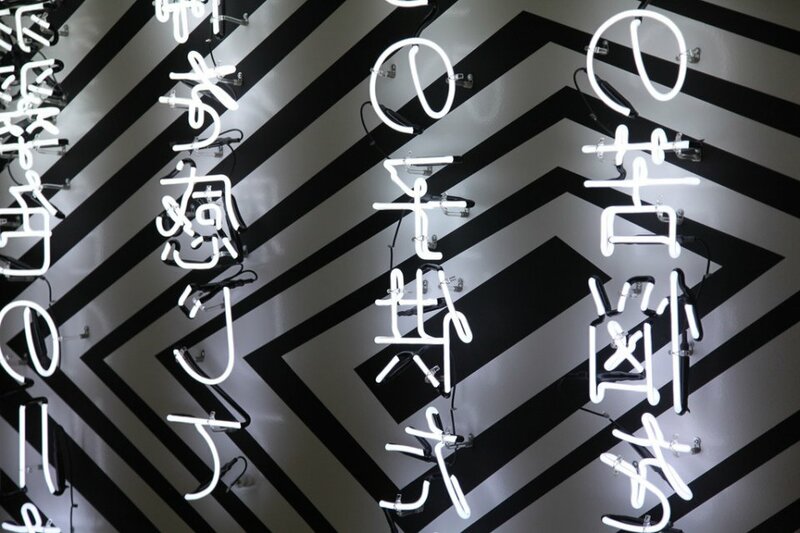 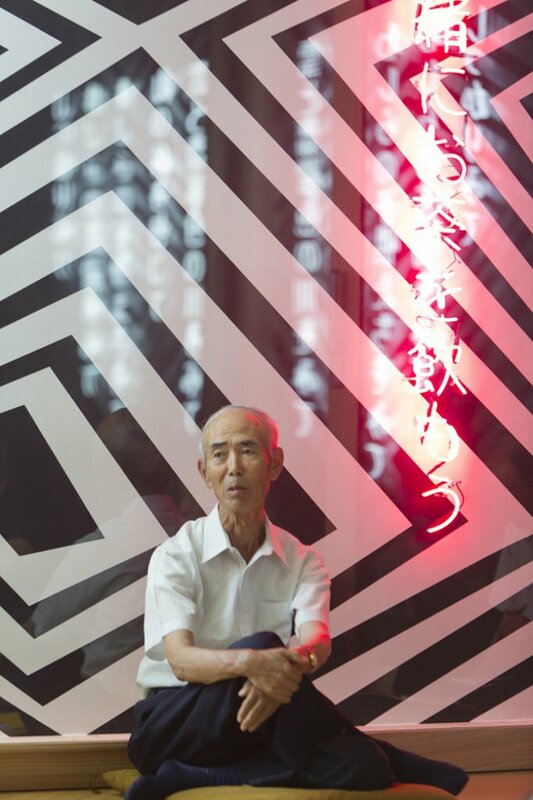 The white neon text featured in the work is a haiku poem written by the artist following his extensive interviews with the locals. 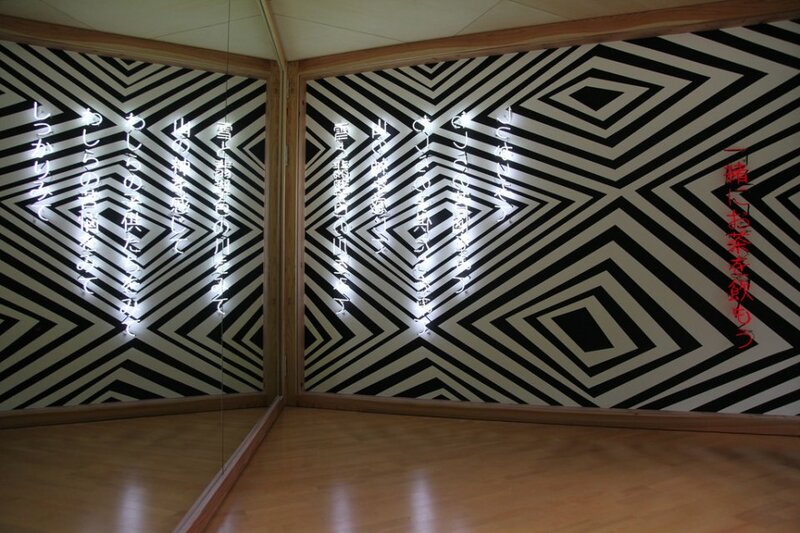 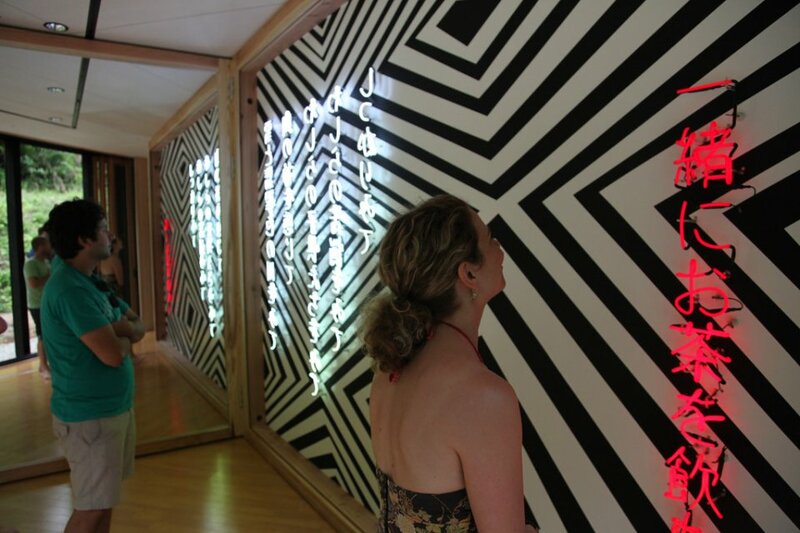 The message, which can only be read when the viewer looks into the mirror and is drawn into its reflection of the surrounding area, encourages the viewer to develop a deeper connection with the local community.